On Dec.7, Mount Diablo’s Beacon will be re-lit by survivors of Pearl Harbor. The Sons & Daughters of Pearl Harbor Survivors are sponsoring the 55th Annual National Pearl Harbor Remembrance Day Beacon Lighting Ceremony, and they invite you to attend the ceremony to pay tribute to the lives that were lost and honor our surviving veterans of Pearl Harbor. The ceremony will be held in the Oak Room of the Library Building at the California State East Bay Concord Campus, 4700 Ygnacio Valley Road, Concord. The ceremony will commence at 3:45 p.m.
Vietnam Helicopters Museum is generously providing a piloted Vietnam War-era helicopter to fly over the ceremony towards the beacon atop Mount Diablo’s summit at 4:45 pm, just prior to the lighting of the beacon by Pearl Harbor Survivors at 5:00 pm. “The Beacon lighting is a tribute to those individuals that lost their lives at Pearl Harbor”, says Earl ’Chuck‘ Kohler, one of the few remaining Pearl Harbor survivors in Contra Costa County. The ceremony is also an opportunity to honor the survivors. When those who experienced Pearl Harbor are gone, the history is lost with them. The Beacon on Mount Diablo was originally installed and illuminated in 1928 to aid in trans-continental aviation. It is one of the four guiding beacons installed along the west coast by Standard Oil of CA and is the only one known to still be operational. After the attack on Pearl Harbor, the Beacon’s light was extinguished during the West Coast Blackout, for fear it may enable an attack on California. It stayed dark until Pearl Harbor Day 1964, when Fleet Admiral Chester Nimitz, Commander in Chief of Pacific Forces during World War II, relit the Beacon in a commemorative ceremony and suggested it be illuminated every December 7th to honor those who served and sacrificed. Since that day, Pearl Harbor Veterans and their families have gathered every Dec.7 to see the beacon light shine once again. 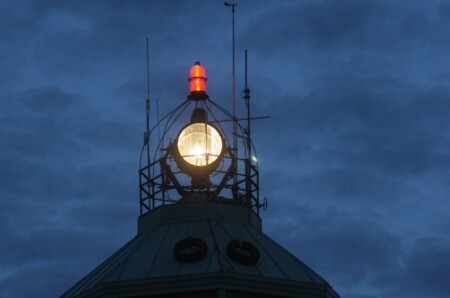 The beacon will be shut off before sunrise on Dec.8. r.i.p to all those lost on that fateful day and to all those present and those who are not thank you from the bottom of my heart for your service and sacrifice to this nation you are definitely not forgotten. Will be watching tomorrow night in honor you all. The attack on Pearl Harbor made a lasting impression on those I knew. They told many stories about life during the war, of blackouts, rationing, fear, and one in particular of riding the train from Los Angeles to San Francisco along the coast route at night. They had to keep the train lights off and the shades pulled down tight. Enemy submarines were off the coast of California and the lights from the train would have provided them with bearings and a target. 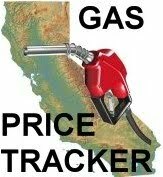 Californians lived in fear that they would be the next target of a surprise attack. Much as 9/11 shaped a generation, the surprise attack on Pearl Harbor gave an abundance of caution and gratitude to those who lived through it which was demonstrated in everything they did. Rest in peace those brave souls that were killed on that day. God bless their survivors and thank you for keeping this important symbol of that day alive as a reminder for us all. Next post: The Water Cooler – Common Core – Is It Good Or Bad?